Sony Music and ATV Music Publishing are being sued by Paul McCartney in an effort for the former Beatle to regain the rights to many of his biggest early songs, including some he wrote with John Lennon. 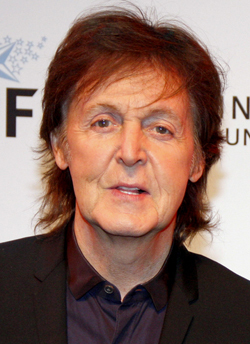 The latestfiling continues a campaign McCartney has waged since 2008. Paul closed out 2016 by having his attorney send another termination notice to the parties involved seeking to have them relinquish the rights to early Beatles songs. The suit filed in Federal Court in Manhattan contends that McCartney's ownership of the songs is protected by a section in the 1976 Copyright Act that extended ownership on songs written before 1978 an additional 19 years, extending the total period of protecction to 75 years.